That was surely one of the hardest livestreams we've ever had to do, not because of the game itself, but because we were so beat that there was nothing else for us to do than to get beaten by the AI at every race we dared to try. 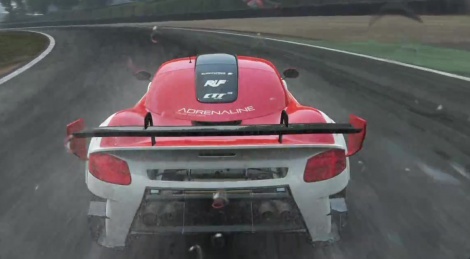 The lack of concentration added to the difficulty we had to speak good English may not have been the best combination for a proper introduction to Project CARS, but you still got to see pretty nice things in this latest build. The weather and lighting effects are indeed impressive no matter what some people can say, and we can't wait to play the console versions in a few weeks to see if they've managed to make them as good as the current PC version. Enjoy the video if you missed the livestream! Good work guys, Game is looking so good. The game certainly does look fantastic. So much detail, and the weather system alone is amazing. It could end up being what Gran Turismo was to the PSX for the current gen.
@marker: reflections were not on ultra, did you watch the stream? Skipped to actual gameplay part. Just to see the gfx, gameplay. Whatever settings it were looked weird. Game looks great in overcast, evening settings as you expect. Looking forward to see the retail version of consoles. Hopefully it comes out more polished that Gran Turismo did - have a functioning decent online that's easy to get into. Have all cars the same level of detail etc. Still don't like the rain effects against the screen with this...nor the skid lid effect that just looks like a boarder slapped on the screen. But overall looking very nice. You can deactivate the rain effect if you're not happy with it. That doesn't really make for a better rain effect, does it? Amen for going else where for certain weather effects rather than being brazen and hoping for more than one game to offer that same high standard of rain effect? I'm not dismissing the game (hence my saying "overall looking very nice"), I'm just voicing my opinion on the rain effect. You're allowed to point out the pro's and cons of things and then weigh them up...and I was giving my take on the weather effect, rather than the game. Turning it on or off isn't going to offer a better effect...just like turning the music on or off in Driveclub isn't going to make the music any better. But it is ok to dream kids!...that it'd be cool if other games had Drive clubs rain as well...how such graphical techniques could become the standard for gaming - you know, it's a good thing. Personally i think the weather effects look better on PCars apart from the rain hitting the windscreen. Love the splashes the tyres make on the road which is something DC severely lacks.